Water pollution is a major issue that impacts areas across the globe. In most cases, these issues go unresolved and have little immediate impact to the daily lives of individuals from all parts of the world. 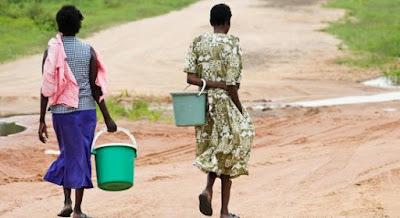 However, there are studies that state that water scarcity impacts not only the direct lives of individuals in the communities through lack of clean water, but also impact poverty levels and hunger in most countries. 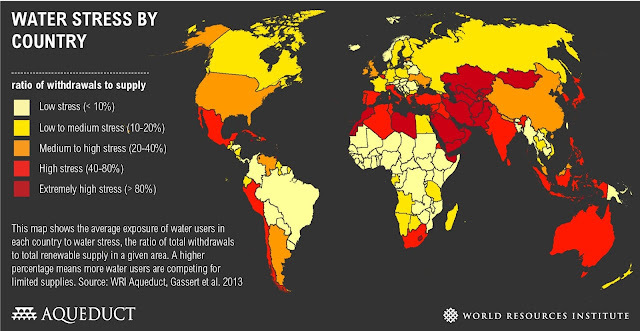 By looking at the following chart, which goes over the countries with the most water stress, it is clear how many countries are dealing with the lack of clean water. While many of the hottest areas of the world are dealing with water scarcity, specifically on the equator, there are still many issues of water scarcity in thriving, technologically advanced countries. Specifically, the United States is dealing with a medium to high amount of water stress, which seems odd when looking at our own personal lives. However, it is important to acknowledge the water issues that are happening in our own backyard. In total, over 37 countries live in high stress water situation across the globe and are in desperate need of stable water access, as well as the ability to live without fear of no water. By understanding the severity of the water crisis, we can all begin to understand our role in making the world better.